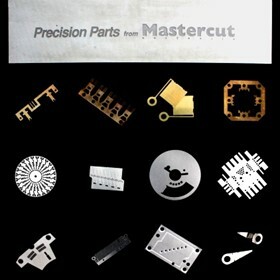 Mastercut Technologies specialises in precision engineering of thin metal parts. Intricate, high tolerance precision parts can be manufactured with shapes and detail unmatched by conventional methods. 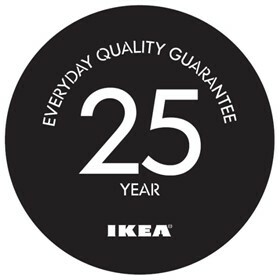 Our Chemical Milling process also enables us to manufacture high quality recessed or embossed signs, labels and front panels on a wide range of thicknesses. Panels, Signs, Nameplates and Plaques can be electroplated or paint filled as required. RF, EMI shielding and precision components can be plated with a variety of finishes (gold, nickel, tin etc.) and then formed to your specifications. Components can be formed either by conventional tooling or etched fold lines which allow forming by hand. We can accomodate small to large production runs and prototyping. 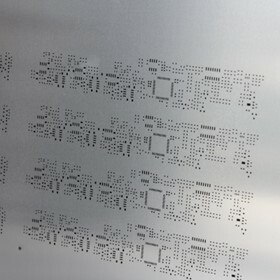 Mastercut Technologies uses the most advanced Solder Paste Stencil laser cutting technology. 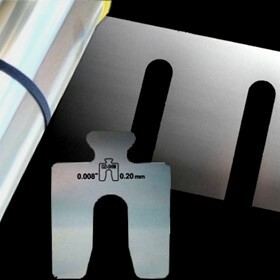 The system has been specifically designed to manufacture stainless steel SMD solder paste and adhesive stencils. The result is a stencil of unsurpassed quality and accuracy. Mastercut Technologies, located in Queensland, Australia for the past 15 years, manufactures high precision parts from thin metal. Using a combination of Photo Chemical Milling and a purpose built German laser cutter, we are known and respected for the high quality products we produce. All items shipped from the factory are inspected for quality control purposes - ensuring the finest standard of production is maintained. If you have an idea, our senior production staff have many years of experience and can advise and assist you. We offer a complete service; from prototping, production & modification of drawings through to manufacturing the part/s and plating & forming services as required.